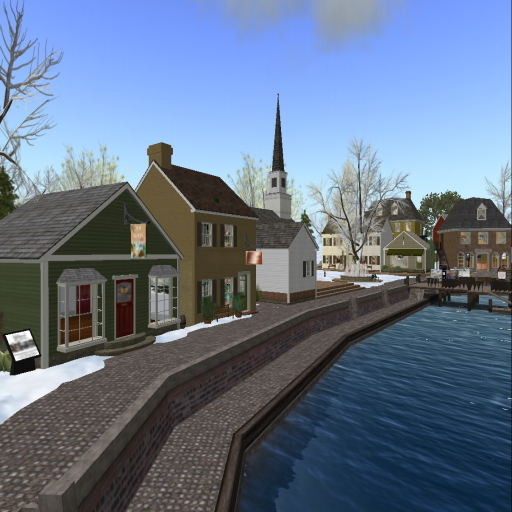 Sailors Cove is one of the most dynamic and beautiful sims in Second Life. 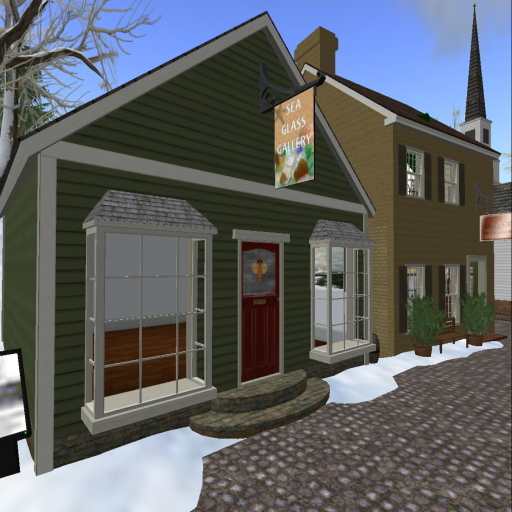 This is an old salt’s delight — at the heart of more than 30 navigable regions in Second Life with classic New England and tropical island themes. These sims – part of the United Sailing Sims of Second Life – are designed for low-lag sailing and seaside living. Their motto is Sailing Comes First! The owners and managers are sailors with a real concern for sailing. They say their’s is “the best place to sail and live in SL.” Residents use the plethora of sims for sailing, yachting, flying, concerts and parties. At Sailors Cove you will discover all of the joys of a quaint New England village, the incomparable rugged rocky coast and a wonderful sense of history. Whatever pulls you to the ocean, this view of New England has it from quiet coves, to sandy beaches and a coast full of spectacular rock cliffs pounded by waves. These SL residents knew how to mold their seaside town into a beautiful scene and peaceful atmosphere. You may remember the pleasure I expressed after I came across an extraordinary vision of reality in the Japanese fishing village Hosoi Yu Ch’un at Hosoi Ichiba on Virgin Island. I felt the same when I arrived in Sailors Cove. As one of the most interesting and beautiful places in Second Life, Sailor’s Cove really is a preservation archive you have to see soon. Yes, you can walk around the Cove, go into the buildings, poke around in the corners and buy stuff in the shops. Explore to your heart’s content! If you’re not already a resident of Second Life, you will want to register for a free account, avatar and viewer so you can log in. 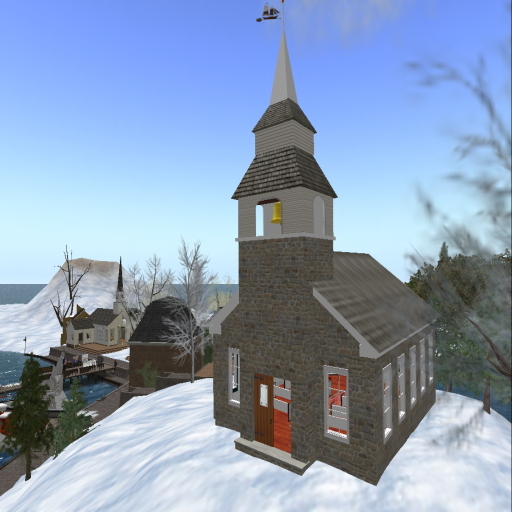 This entry was posted on Saturday, January 1st, 2011 at 7:19 pm and is filed under culture, exploration, media, public life, Second Life, SecondLife, SL, society, travel, Uncategorized. You can follow any responses to this entry through the RSS 2.0 feed. You can leave a response, or trackback from your own site. Some really great pictures here! If you look close, one of the shots in the pictures in the video Cowboys and Angels of SL was taken in Sailors Cove.